We have become so used to finding free patterns online these days, you might wonder why designers charge for their patterns, or indeed, what goes into creating a pattern from start to finish. So, what is the true cost of a pattern? Every designer is different, they each have their own design processes and their own production systems. All designers work hard to create patterns for knitwear, the home, toys, and anything else you can imagine, so that you can recreate these masterpieces on your own needles. What goes into writing a pattern? Once a pattern has been imagined, sketched, dreamt, created, and knitted it goes through a journey of checking. Tech editors are employed by designers to make sure that the math works – that the stitches are correct, that the instructions make sense, and that the item knits exactly as the pattern says. Their services will differ depending on the complexity of the pattern, and how much time it will take to review. A tech editor might cost anywhere from $70/£50 per pattern. Test knitting is essential to confirm that a pattern really does work for a knitter – some designers ask for several test knitters who either use their own yarn, or are given yarn by the designer. Testers are sometimes paid a compensation that is based on yardage used, and they provide invaluable information about the pattern and the way it is written. The designer’s aim is to write a pattern and have it checked so thoroughly that there are no errors, and that it works every time, so it is essential to test and re-test! Costs for test knitting can vary, but an average cost is somewhere around $50/£35. Photography, or the services of a photographer, can be expensive, and many designers pay their models too. A designer might decide to take photos themselves, but when you consider that the image of a design on the front of the pattern is critical to whether or not a knitter chooses to buy that pattern, a designer will need to invest time and money in making sure that the image is as good as possible. Photography and model costs could be hundreds of dollars or pounds. Some designers are sponsored by yarn companies, but often they are working from their own stash or purchasing yarn for specific patterns themselves. Some designers might not knit a whole garment, just a swatch, and others might knit the whole thing. Yarn costs can vary from a single ball to the cost of an entire garment. 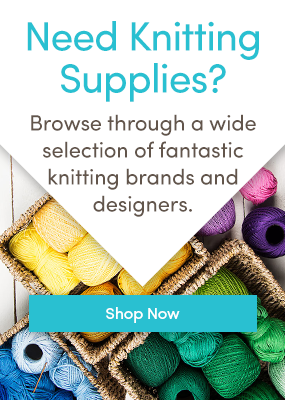 Designers sometimes advertise on sites like Ravelry, or use social media and email to advertise. These channels may require artwork or there may be printed material to be designed and printed for shows and shops, as well as extra costs for social media boosts such as Facebook. These costs can add up quickly! Sales are not free! Designers need to take into account PayPal fees, as well as taxes, and if they are running a business, the associated accounting costs. “One of the hardest things for any designer to put a figure on is how much time is spent on producing the pattern. There’s the knitting time, the re-knitting time, the pattern writing time, layout time, and photography time, and there’s also the thinking time and emailing time (discussions back and forth with testers and editors etc). For the sake of finding some figures, I’ve looked at a quick pattern (chunky yarn, straightforward design) and a very not-quick pattern (fine yarn; frogged countless times) to calculate some sort of average. The numbers below are based on this average. And I’ve worked backwards, as it made things easier to work out! That amounts to an average of 34.5 hours of my time spent on each pattern in the production stage. These figures will vary wildly for each designer, and they would change constantly too, as experience is gained and new avenues are explored. As I say, it is the hardest thing to quantify, and I’ve more than likely under-estimated rather than over. Thinking time in particular is impossible to guesstimate. There are the other, non-production costs of being a knitwear designer, such as the equipment needed to run your business. You might have bought a camera to photograph your work, a laptop or desktop computer to create your patterns on, and quite possibly a printer too. Don’t forget all the cables, paper, and ink as well! Online expenses include building a website, paying the hosting fees and associated costs, monthly internet and phone payments, fees for selling patterns, and if you exhibit, the cost of trade shows, business cards, postcards, display, travel and accommodation. With so many free patterns out there on the internet, what does the knitter get from a paid pattern? Assurance that the pattern is correct and will work as pictured. The knowledge that the pattern has been tested and checked by knitters. Knowing that you have paid for somebody’s work and time, supporting independent designers. When you buy a pattern from an independent designer, you are directly supporting a small business, an individual’s creativity and independent design! Excellent article. The thoughts and facts laid out here could be applied to many artistic endeavors and should be read and understood by everyone. Thanks for taking the time to write it. Interesting analysis, but with so many test knitters actually knitting for free, I don’t think the cost of test knitting is truly a factor here. It might be for big companies that hire and pay test knitters, but independent designers request and find testers for free usually. It’s true most test knitters do it for free (or in exchange for a copy of the pattern). But many hours are spent in coordinating the test knit process, communicating with them, processing feedback, etc. It’s a very time-consuming process. If the designer puts a value on their time (which they should), then test knitting is definitely a cost to be accounted for. Thank you for this very informative article. I hope many knitters will read and understand better the costs of making a pattern. I’m always happy to buy a pattern – designers need our support.